The 21st century lawyer doesn't get by on legal expertise alone. In fact, professional skills have never been more important in the pursuit of a successful legal career than today. We’ve developed a range of skills-based workshops to suit the needs and requirements of a modern day lawyer. 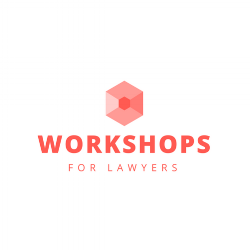 Written and designed by former lawyers, our workshops allow you to remain ahead of the crowd.